It has been a while since the Doonhamers tasted a Championship victory, September 17 against Raith Rovers, but finally after 13 winless matches Queens put three points on the board in a 3-0 against St Mirren at Paisley 2021 Stadium. 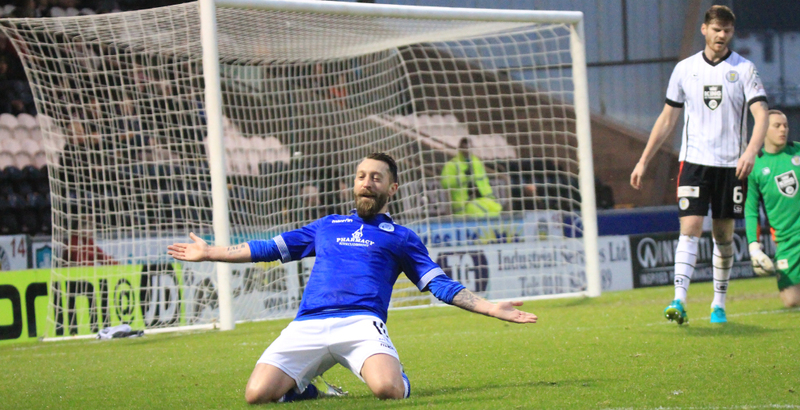 Goals from Stephen Dobbie, Joe Thomson and an own goal from Gary MacKenzie sealed the win for Gary Naysmith`s men and moved them 12 points off the basement boys. 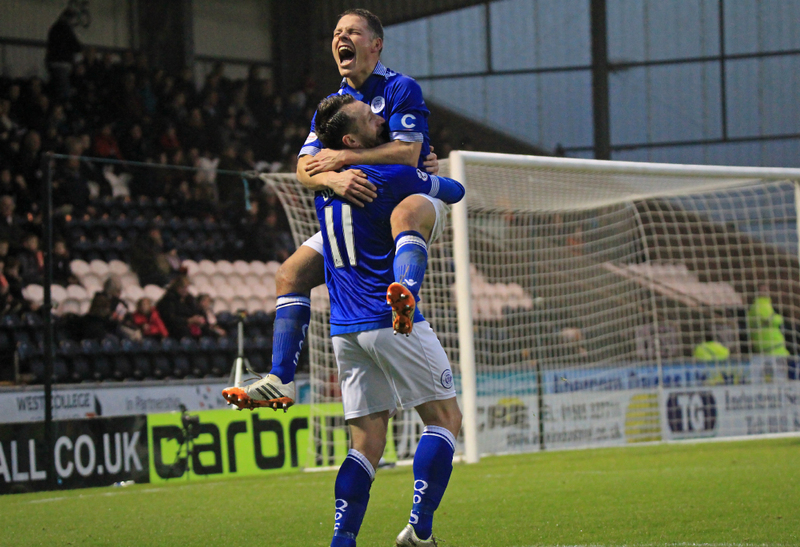 Queens made three changes from last week`s stalemate against Ayr United. New signings Joe Thomson, Dom Thomas and John Rankin were put straight into the starting line-up with the latter skippering the side on his debut following his move from Falkirk. Out went Derek Lyle, Owen Bell and Mark Millar. Lyle was dropped to the bench, Bell not in the match day squad and Millar departed during the week to sign for Livingston and help their League One title push. Queens lined up in a 4-5-1 formation with Kyle Jacobs sitting in the central midfield with Thomson and Rankin pushing forward to support lone striker Stephen Dobbie. In the opening seconds of the match a dangerous long ball from Andy Dowie was chased by Dobbie which had St Mirren goalkeeper Gallacher rush off his line to clear. Queens looked slick in the opening stages with some nice exchanges from wide men Dan Carmichael and Dom Thomas. The hosts took ten minutes to get going but proved to be a handful for the visitors. Former Queens midfielder Rocco Quinn for fouled by Rankin on the right hand side and Stephen Mallan whipped the set-piece into the box which was only cleared to Lewis Morgan but his shot from 20-yards dragged wide. 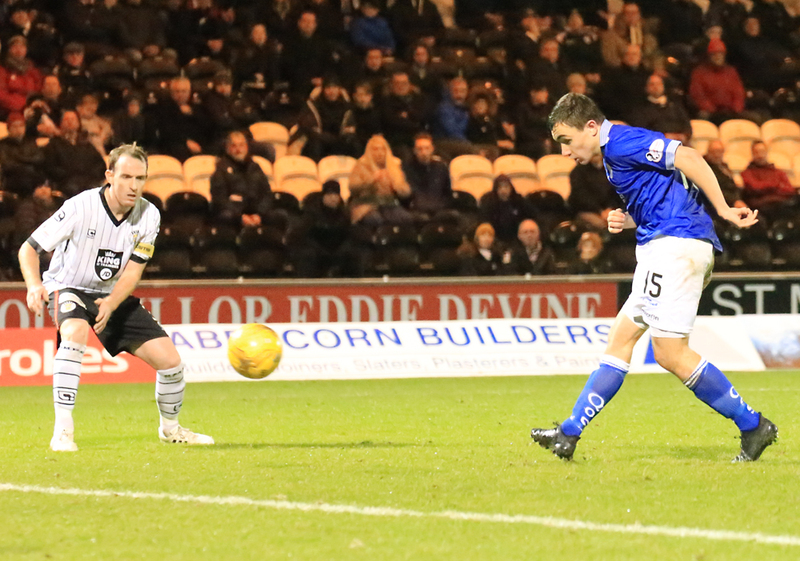 Jack Ross` men are bottom of the table and a lack of goals have been one of the main issues and it was plain to see when John Sutton outsmarted Darren Brownlie and laid the ball to youngster Kyle McAllister but his shot was blocked and hit out for a corner. The resulting set-piece delivery ended with Sutton heading the ball goal wards but only for Dowie to head the ball off the line. The hosts were now on the march and after pressure from Jason Naismith on Jordan Marshall won another corner kick. Mallan`s corner found ex-Blackpool defender Gary MacKenzie but the centre-back couldn`t direct his on target. Queens were perhaps on the back foot a little but were dangerous on the counter. Dobbie picked the ball up and advanced forward and sprayed the ball to the overlapping Marshall in the penalty area but was denied by the legs of stopper Scott Gallagher. A succession of corners followed for Naysmith`s men and Rankin had two shots from the edge of the box but both flew over the bar. The new signings looked to have settled in quickly with Thomson and Rankin looking solid with Thomas and Carmichael causing the full-backs serious problems with their pace. It was an entertaining first half which could have seen both sides get off the mark. The hosts saw an effort from McAllister fizz just over the crossbar before Morgan smashes a shot just wide of the right hand post. Rankin had another chance to open his Queens account but put the ball just over the bar. 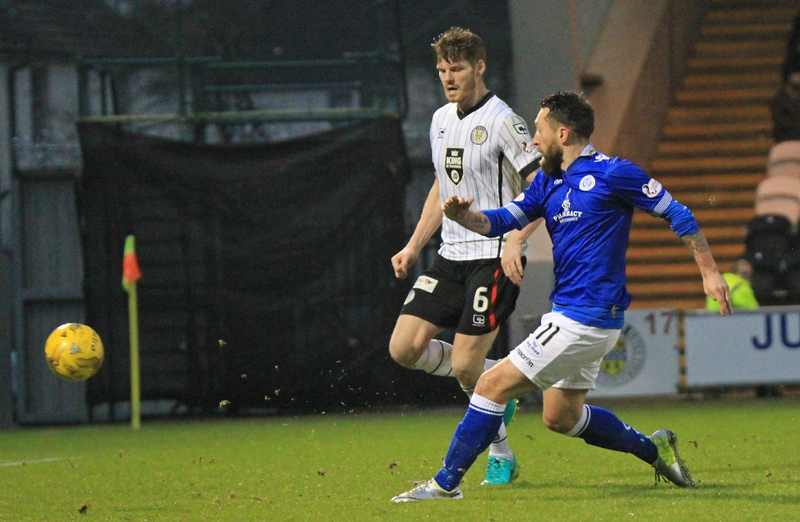 But Rankin was the architect for the opening goal as he slipped the ball into the path of Stephen Dobbie and Dobbs made no mistake and slotted the ball past Gallacher to give Queens the lead in first-half injury time. St Mirren come out the restart the brightest and had the bulk of possession with most of the match being played in the Doonhamers half but could only muster up a long range shot from Morgan which was easily collected by Robinson. Ross made his first change of the afternoon with striker David Clarkson coming on for Kyle Magennis with some of sections of the Buddies faithful not happy with the substitution. Five minutes later the hosts were unlucky not to grab an equaliser when a McAllister shot from outside the box cracked off the woodwork. Then ball then fell to Naismith whose follow up went wide of the far post. The visitors were struggling to keep the ball and found themselves getting deeper and deeper with the home side having more possession. Queens looked to have dealt with the Buddies` storm and searched to double their advantage. A lovely move from Dobbie, Thomson and Carmichael on the left opened up the Saints defence but the following cross wasn`t dangerous enough and was gathered by Gallacher. Naysmith made his first change of the match with the returning Lyndon Dykes replacing Carmichael on 71 minutes. Two minutes later St Mirren captain Andy Webster was the first player in refeere`s Mat Northcroft`s black book after a rash challenge on Dobbie. The defender was then subbed off three minutes later for striker Lawrence Shankland. Queens needed a second goal to kill off any chance of a fightback from the hosts and were rewarded for their play nine minutes from time. Dom Thomas curled an effort which was could only be palmed away by Gallacher. The ball fell to Dobbie who volleyed a shot off the upright and then Joe Thomson was on hand to tap the ball into the empty net. With the game seemingly won star striker Dobbie was replaced by Derek Lyle on 84 minutes. The introduction of the veteran saw him play in Dykes on the left and his cross-come-shot was bundled into the net by Gary MacKenzie to giftwrap the three points to the Doonhamers. Youngster Connor Murray made his senior debut when he came on for winger Thomas. 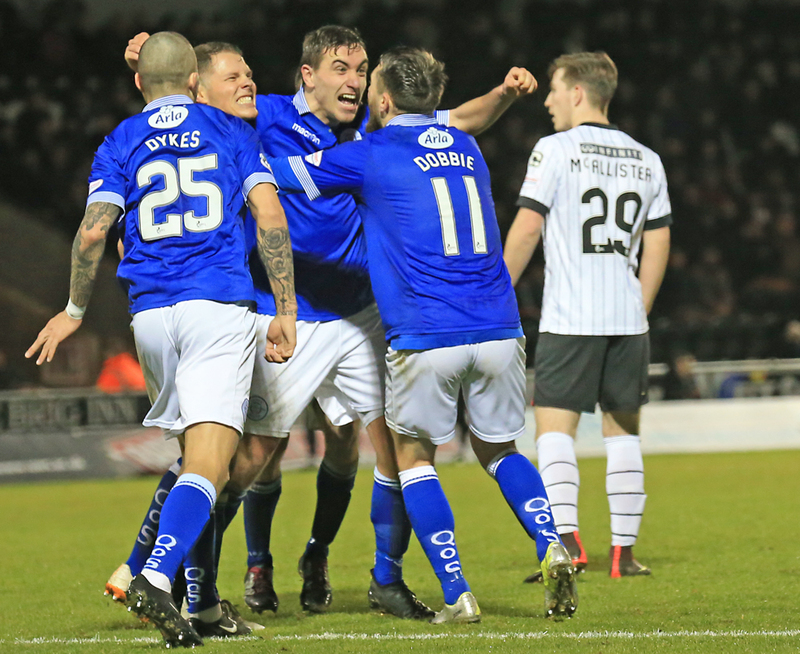 Jamie Hamill picked up a booking in added time but all would be forgotten as the full time whistle was blown and finally the Queens support could celebrate a much needed victory. Next up for the Doonhamers is a tough trip to Tannadice where they take on second place Dundee United on January 14. 14:46 Thomas, Thomson and Rankin make their debuts for the club with the latter starting as captain. 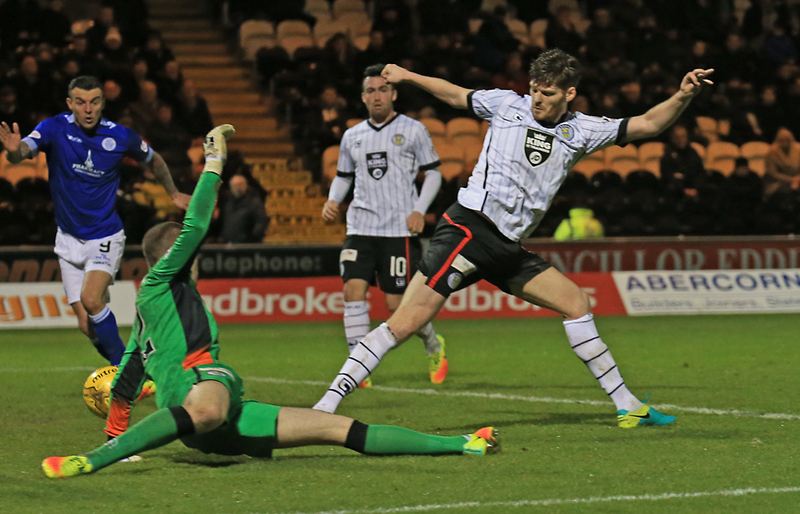 14:51 St Mirren xi; Gallacher, Naismith, Irvine, MacKenzie, Quinn, Mallan, Sutton, McAllister, Webster, Morgan, Magennis. 15:02 The team`s are out and we are only moments from kick-off. 8 min Rankin fouls Quinn on the right-hand side. Mallan`s delivery is easily cleared. 11 min McAllister`s shot is deflected out for a corner. 13 min Sutton`s header is cleared off the line by Dowie. 19 min Mallan`s corner finds MacKenzie but the defenders header drifts wide. 21 min Dobbie picks out Marshall in the box but his low shot is knocked out for a corner. 23 min Queens having most of the ball now with their third corner in less than two minutes. 24 min Rankin`s shot is always rising and goes over the bar. 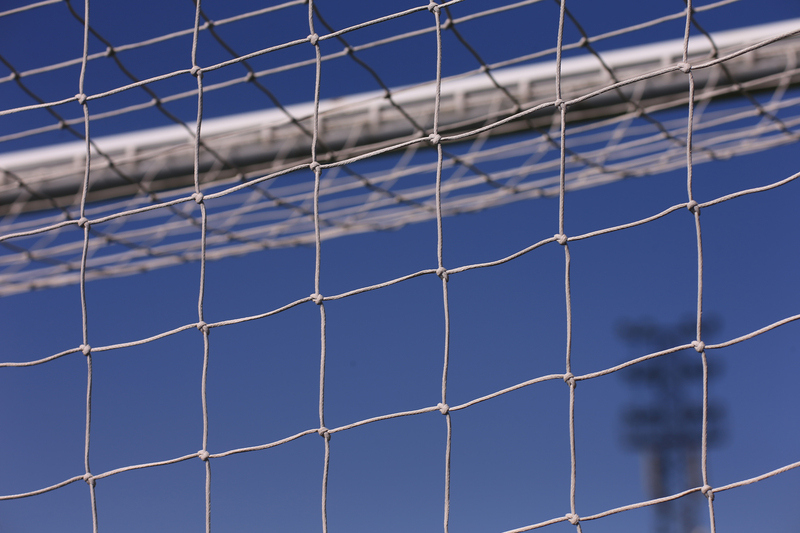 30 min Rankin`s shot is always drifting wide of the goal and can`t trouble the keeper. Much better from the Doonhamers. 39 min Morgan turns the defender and hits a powerful effort inches wide from 20-yards-out. 41 min Rankin is played in, but his shot from the left swirls past the post. Still 0-0 here. 43 min Entertaining game at Paisley 2021 Stadium. Both sides probably should be off the mark. 45+1 min Rankin slips in Dobbie and he makes no mistake to give Queens the lead. Half Time Attendance at the Paisley 2021 Staidum, 3105 with 298 Queens supporters. 55 min The hosts have been the better side since the restart but haven`t troubled Robinson. 56 min Magennis shot is always rising and goes over the bar. 62 min Great play from Dobbie, Thomson and Carmichael but the cross is collected by the keeper. 73 min Webster pulls back Dobbie and picks up a booking. 82 min Thomas curls a shot which is saved by the `keeper, Dobbie volleys a rebound off the post and Thomson taps in from close range. 2-0. 89 min Dykes` cross is knocked in by MacKenzie. 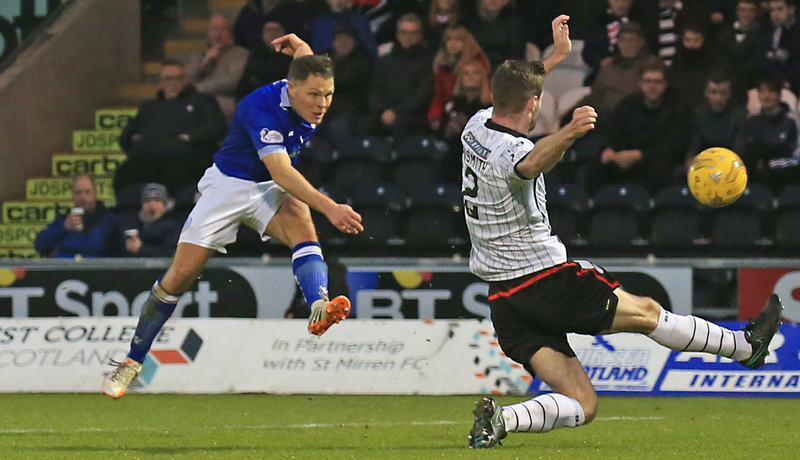 16:55 Queens end the winless run after a 3-0 away victory against St Mirren.